Since 2014, fans have enjoyed the live-action TV adaptation of The Flash starring Grant Gustin as the scarlet speedster Barry Allen. 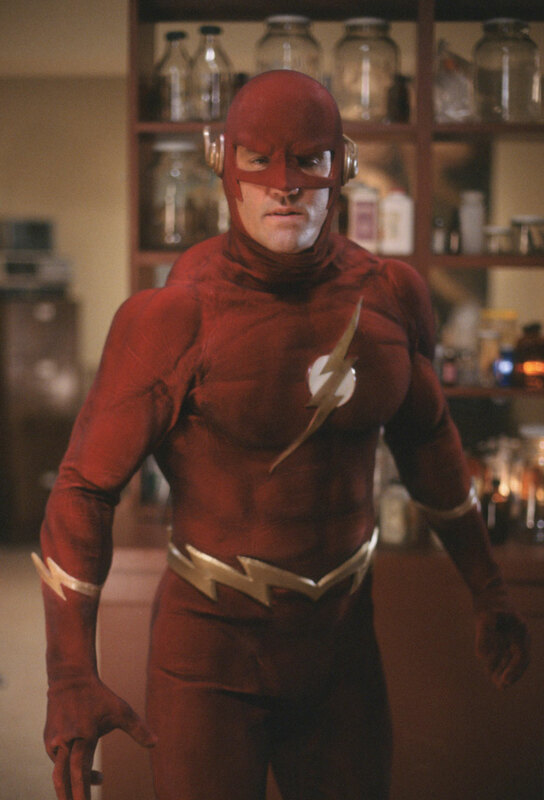 But in 1990, the first live-action TV take on The Flash appeared, with actor John Wesley Shipp in the title role. Sadly, it lasted only one season. But it's still fondly remembered by its fans. If you decide to dive into the 1990 series yourself (which you can watch right here on DC Universe), be prepared for an entirely different version of Central City. In the 2014 series, Barry Allen's mother Nora was murdered when he was 10 years old, a crime for which his father Henry (played by the 1990's show's star, John Wesley Shipp) was wrongfully convicted. This Barry is 25 years old when a particle accelerator explosion creates a lightning storm that endows him with super-speed powers. 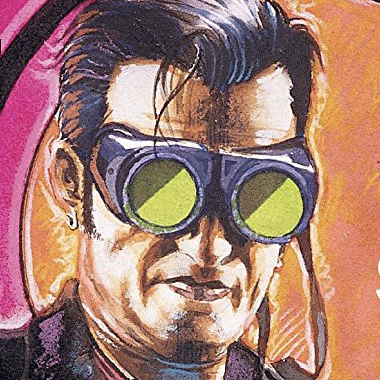 In the 1990 series, Barry is 35 when a random lightning bolt strikes him and a collection of chemicals in his lab, creating an electrified bath that grants him super-speed. In this show, Nora never died and Henry Allen is simply a retired police officer. While Henry is proud of his eldest son Jay for becoming a cop as well, he is dismissive of his youngest child Barry for simply working in the crime lab. Jay Allen’s name, of course, is a reference to Jay Garrick, the original Flash. Another nod is that this show’s version of S.T.A.R. Labs is located on Garrick Street. Let’s talk differences in personality. 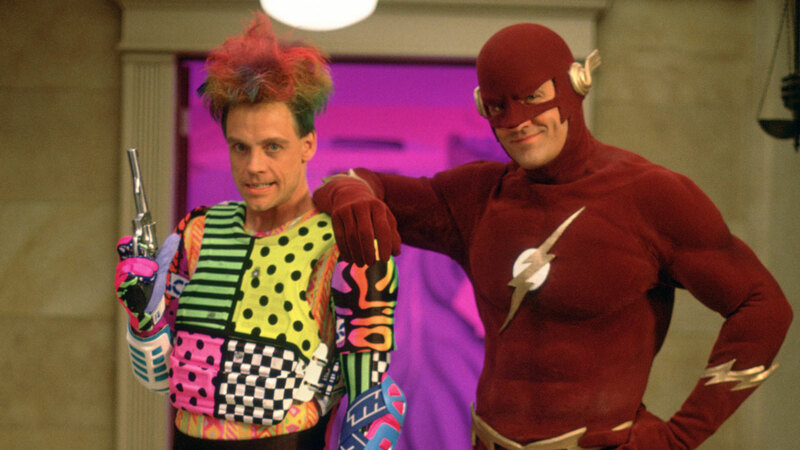 The 1990 live-action Flash banters and quips with his friends, sure, but when he puts on the costume he becomes pretty serious. Rather than toss around pop culture references or joke about how absurd his life is, this Flash only throws sarcastic trash talk at his enemies. Gustin’s Barry Allen quickly takes joy in his powers and is motivated to become the Flash out of a desire to help people and protect them from super-powered criminals. Shipp’s Barry only wants a cure for his powers at first, but later decides to become a feared vigilante after someone close to him is murdered by criminals terrorizing Central City. In regards to the tone of this incarnation of The Flash, Executive Producer Danny Wilson said he and others often described it as “Batman’s cousin.” That didn’t just apply to Barry but the show itself. The 1990 TV version of Central City looks more real than Tim Burton’s Gotham City, designed by Anton Furst, but is also clearly a heightened reality with colorful neon lights illuminating empty stores, seedy bars, and mist rising from manhole covers. It’s a place out of time -- like the Gotham City of the 1989 Batman movie -- where folks have the latest technology and clothing but some of the cars, architecture and dialogue are more in line with films of 30 years before. Highlighting it all is the theme music of Denny Elfman, who of course score the '89 Batman. Now, how does the 1990 Flash’s supporting cast compare with that of the 1990 show? Well, for one thing, Detective Joe West (Barry's surrogate father) isn’t around. In the pilot episode, Iris West is a digital artist dating Barry, and she has repeatedly turned down his proposals of marriage. In the second episode, we learn she’s left for Paris to pursue her art career. In both shows, Barry finds support and friendship from the staff of S.T.A.R. Labs. But instead of Cisco, Caitlin and Harrison, the 1990 version of S.T.A.R. 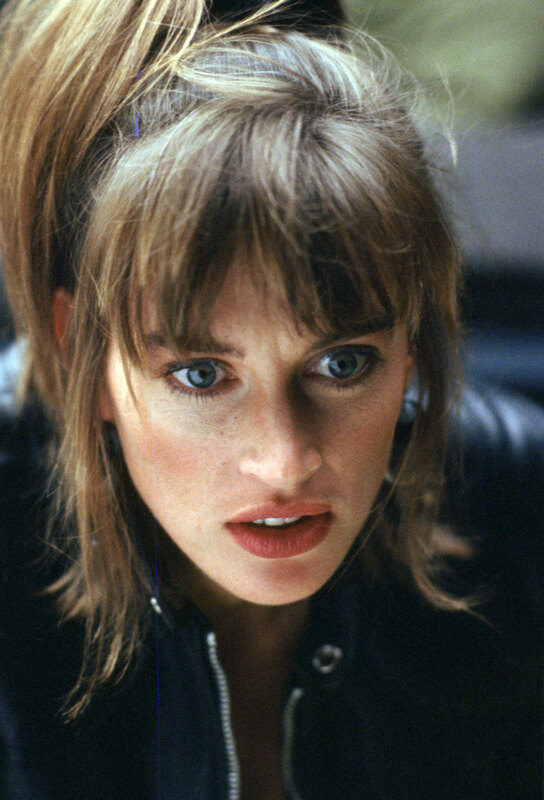 Labs has a staff of one: Dr. Tina McGee (Amanda Pays). Loosely based on a character of the same name from the comics who was an ally and love interest to Wally West, Tina ran S.T.A.R Labs with her husband David before he died. She’s a brilliant person with a dry wit who helps Barry understand his powers better. Overtime, the two develop close feelings for each other but are unsure whether it’s wise to pursue things further. Along with Barry and Tina, the third and final regular cast member of The Flash to appear in every episode is Julio Mendez (Alex Désert). Another employee of the crime lab, Julio is an affable friend who often urges Barry to work on his love life. But despite their close friendship, Barry keeps Julio in the dark about his secret identity. While the regular cast was small, the 1990 show made up for it with cameos! Jeri Ryan, Richard Belzer, Richard Burgi, M. Emmet Walsh, Jeffrey Combs, Denise Crosby, and Corinne Bohrer all appeared in its one season. Vito D’ambrosio and Biff Manard played Central City Police Officers Bellows and Murphy, a comedic Rosencrantz and Guildenstern who were well-meaning but a little clueless. Joyce Hyser played Meghan Lockhart, a private investigator who uncovers the Flash’s identity. Actor Jason Bernard added depth to the show’s mythology by portraying Dr. Desmond Powell, a Korean War vet who fought crime in Central City during the '50s and '60s as Nightshade (a hero who seems inspired by the Green Hornet and DC's original Golden Age Sandman, Wesley Dodds). The villains of the 1990 show were just as delightfully strange as those of today's series. Along with baddies like the Ghost (who at times dresses like a Flash Gordon villain), there were familiar favorites from the comics such as Mirror Master (played by musician David Cassidy, the father of Arrow's Katie Cassidy) and Captain Cold. Although viewers didn’t get to see the Reverse-Flash, Barry did fight a clone of himself named Pollux who wore a blue version of the Flash’s costume. 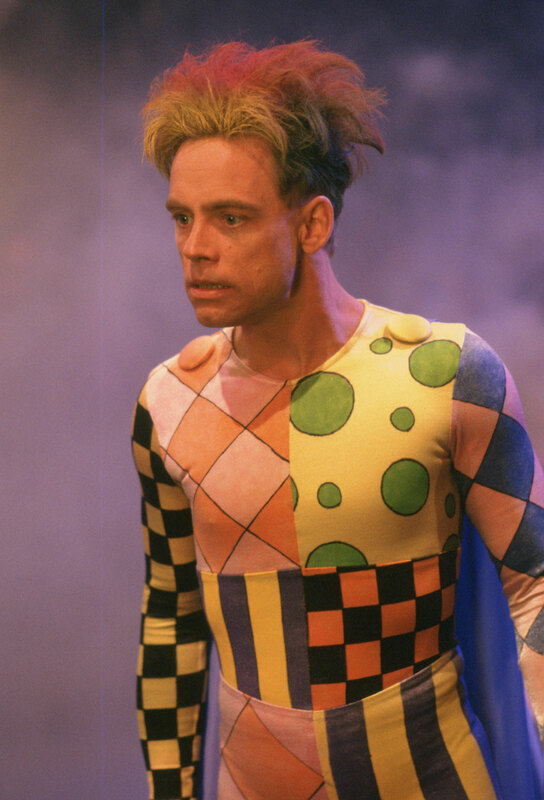 Best of all a post-Luke Skywalker, pre-Joker Mark Hammill appeared in two episodes as James Jesse, a.k.a. the Trickster. 1990's The Flash has been off the air for nearly three decades, but fans retain their affection for it. So it’s no surprise that Shipp, Pays, Désert, and Hamill have all appeared in the modern CW show, usually as versions of the characters they played in the original series. But don’t take our word for it. Check out the 1990 version of The Flash on DC Universe and see for yourself!